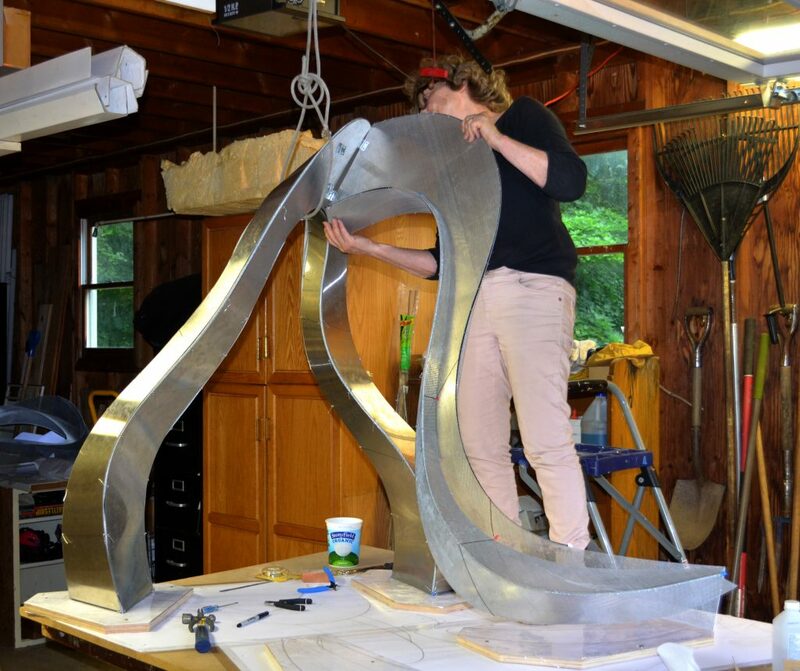 A large scale commission for the city of Lowell. 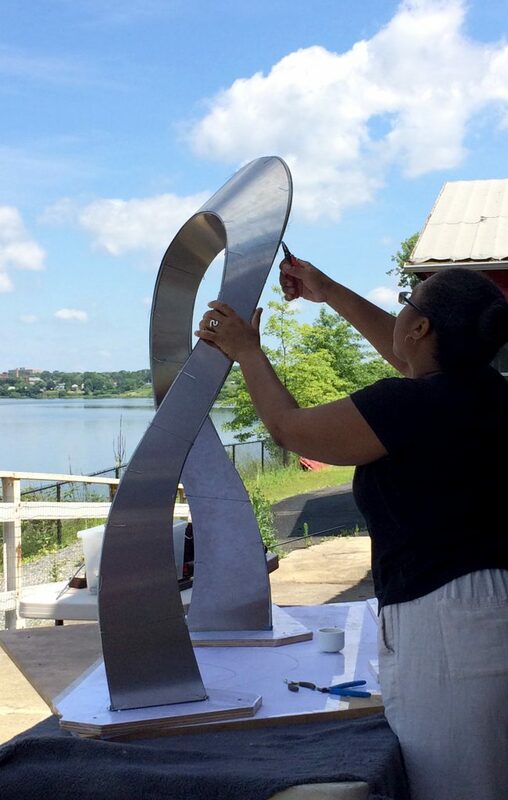 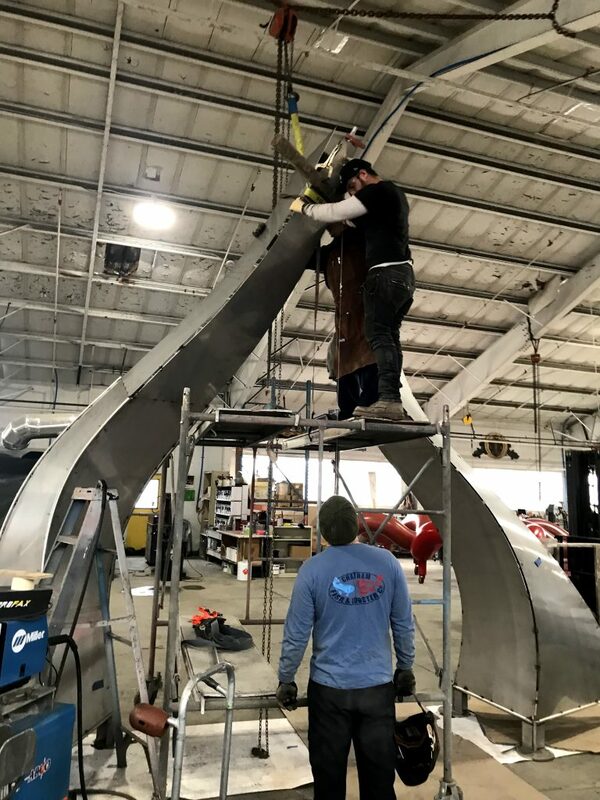 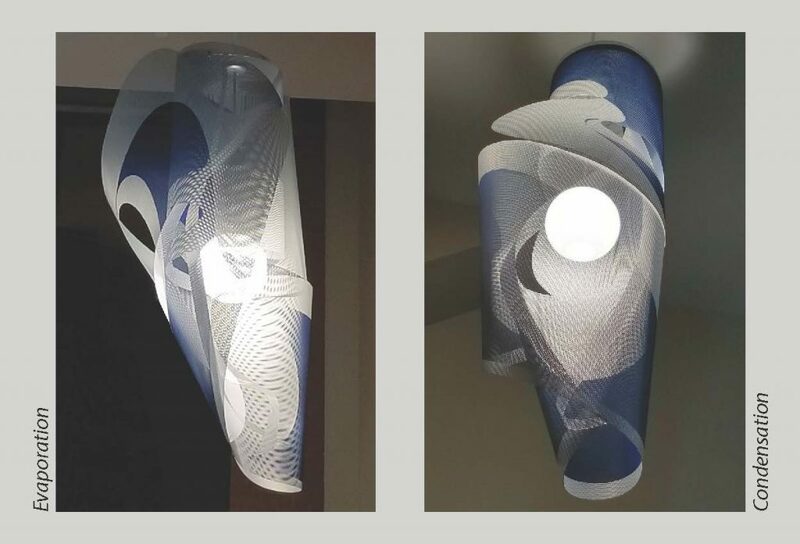 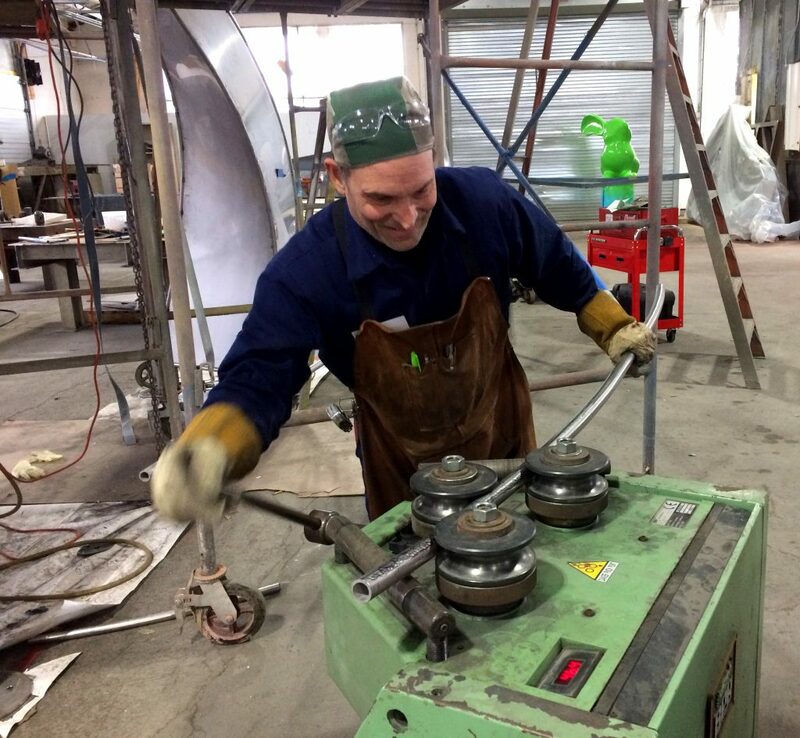 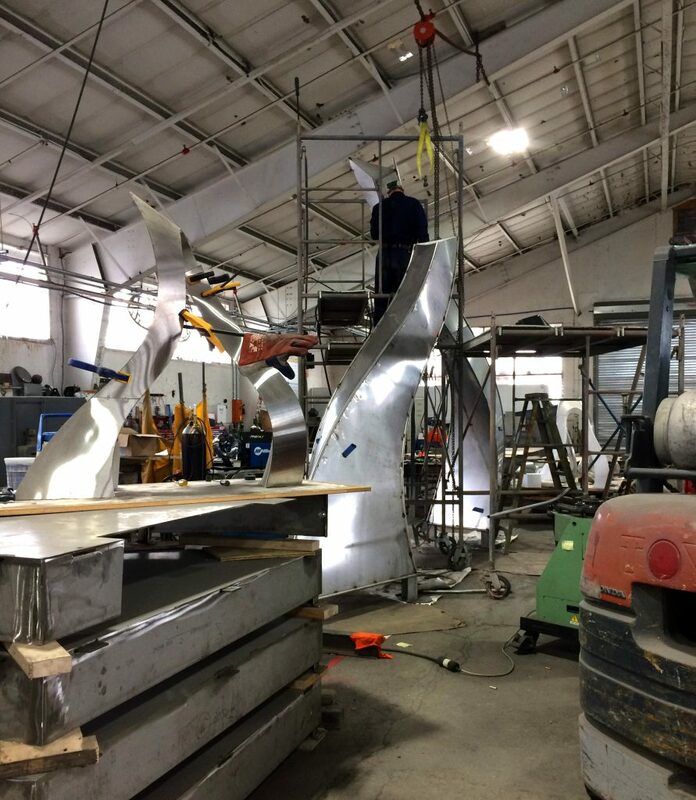 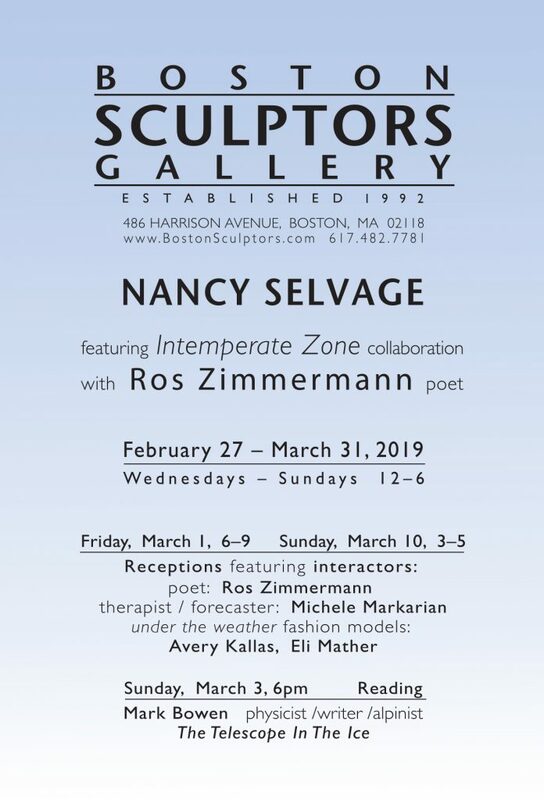 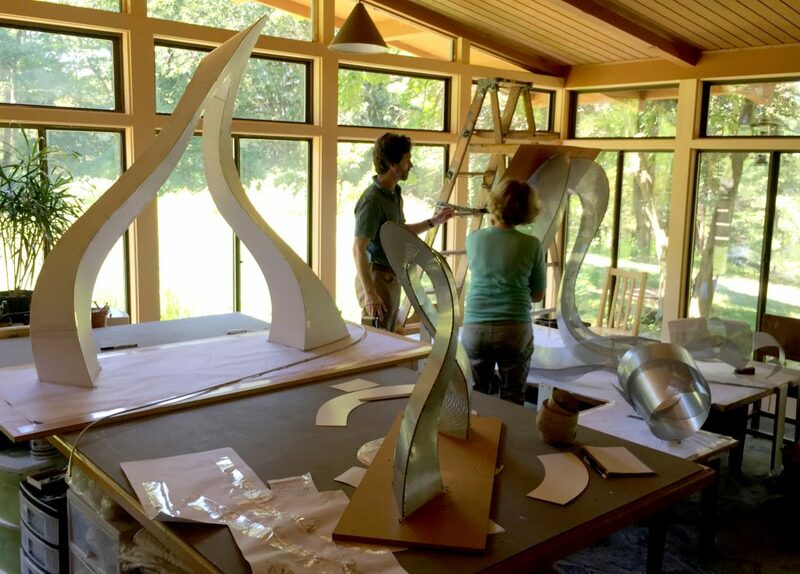 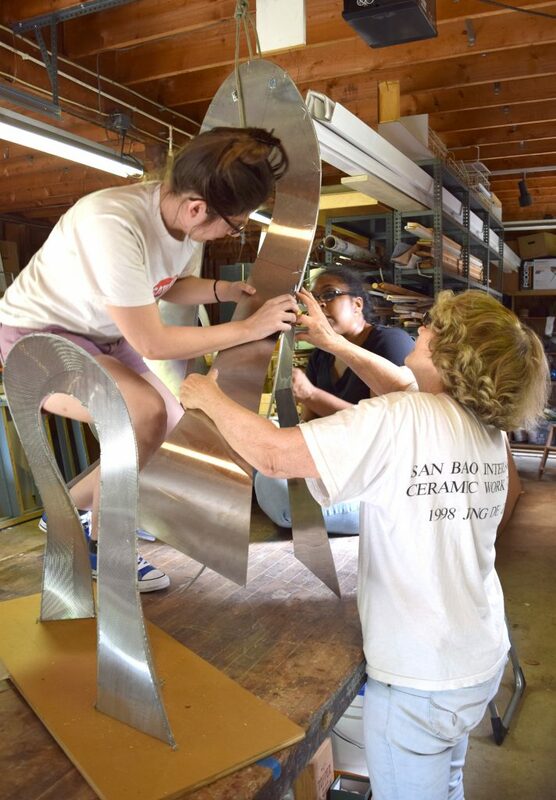 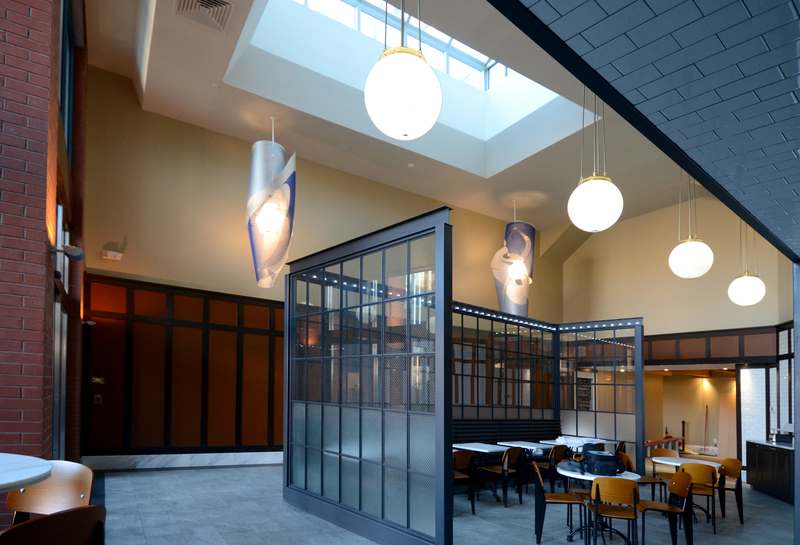 Check out the process of getting a large piece of public art made, from model and consultations, to the the full scale piece under construction at the awesome fabricator, Amaral Custom Fabrications. 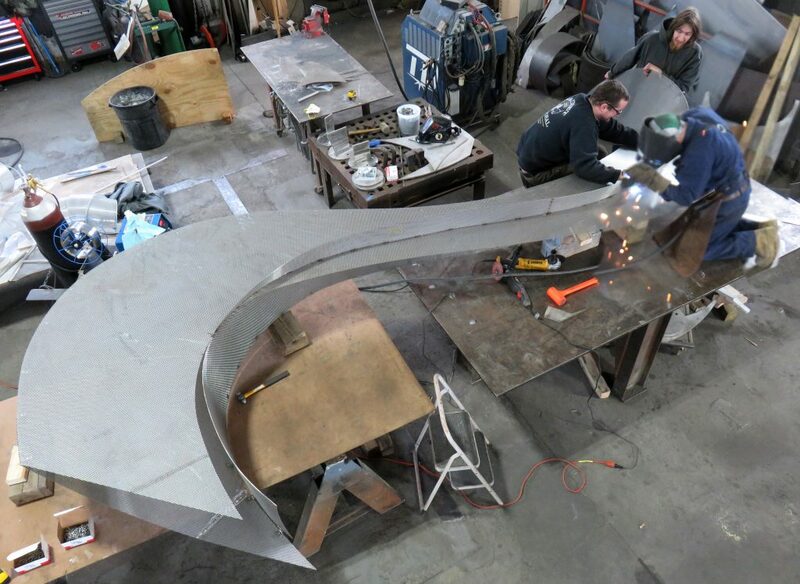 Below see a rendering of what the finished piece will look like. 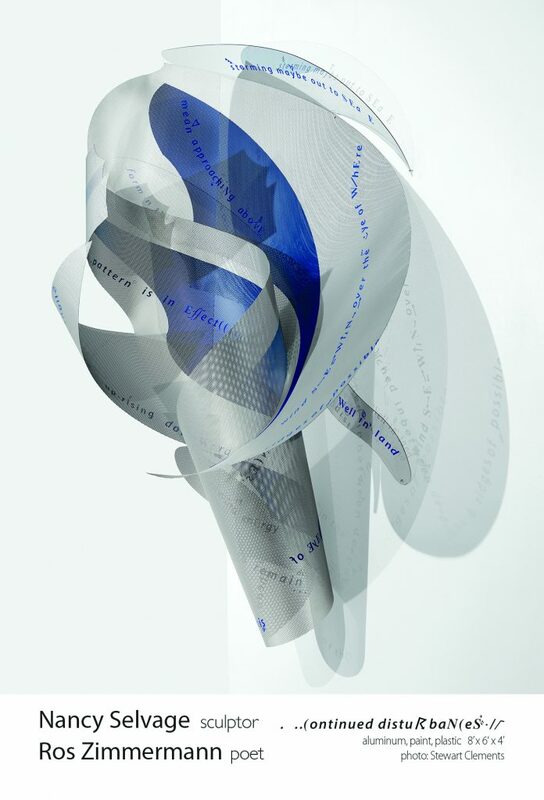 Full size images on click. 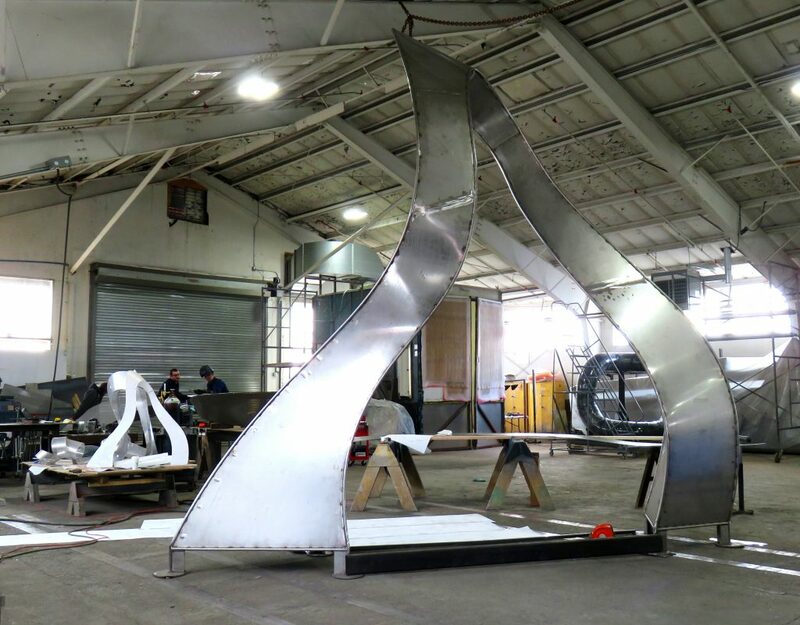 As the signature landmark of the Hamilton Canal District, the City of Lowell’s centerpiece redevelopment initiative, this large-scale sculpture celebrates the hydro energy that powered mills at this site in the first great industrial city in America. 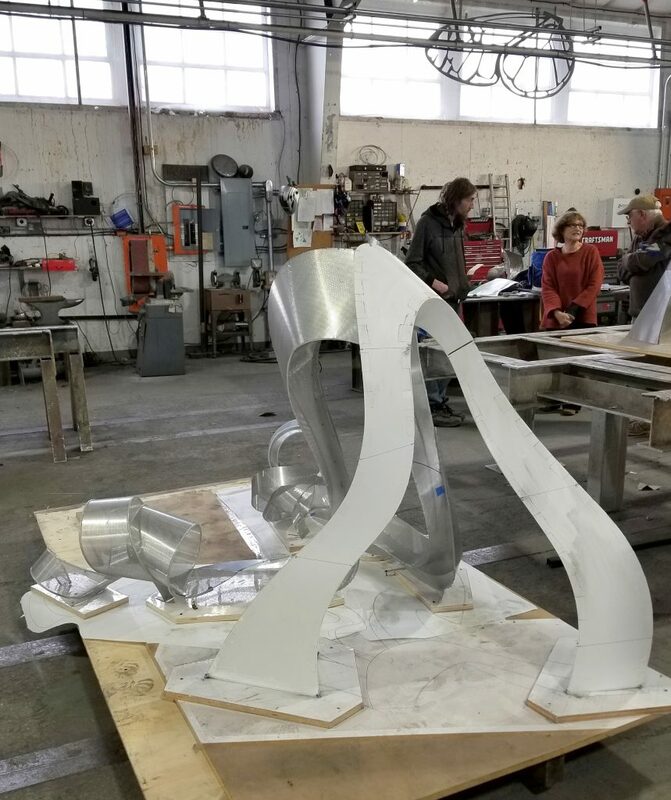 Sited where historic canals converge, the Utopian Park sculpture will be a highly visible beacon for Lowell’s Arts and Culture District. 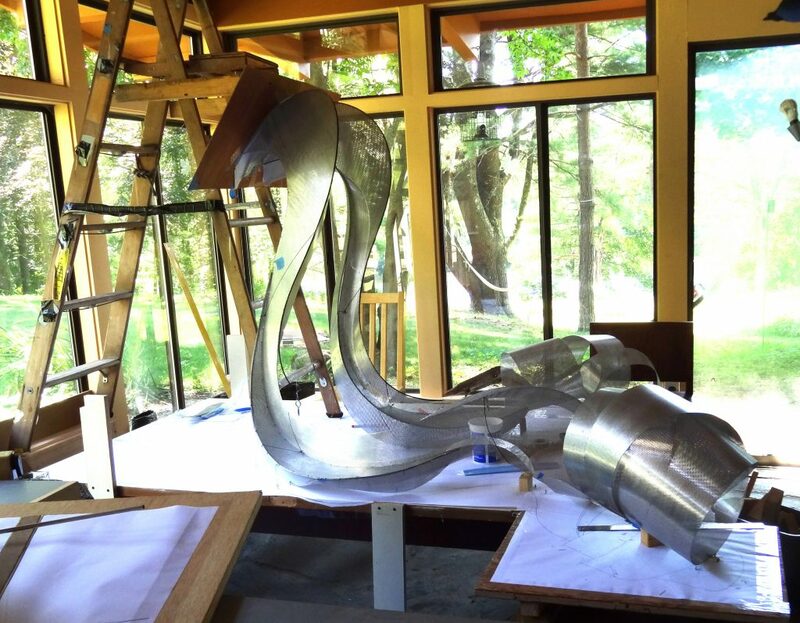 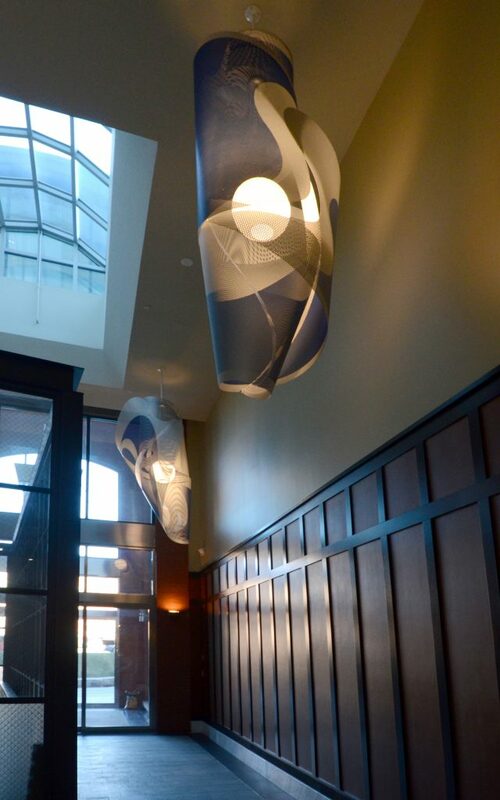 The sculptural forms express the feeling of water flowing through a turbine and invite all to explore the journey.